A new collaboration with SHAR Music creates a forum for sharing stories and information about our programs and initiatives that help people keep playing or return to playing after a break. Yet again, chamber music players across the globe assembled for the pleasure of playing-in with friends new and old during the ACMP Worldwide Play-In Weekend earlier this month, March 3 & 4. Vivere la Musica - Exploring the Love of Playing! 2018 Worldwide Play-In Weekend - Let the Playing Begin! Players gather - instrument in hand - to meet old friends, make new ones, and tackle some amazing chamber music! The Associated Chamber Music Players’ (ACMP) mission spreads the wonders and possibilities of chamber music to players around the world. Join ACMP on February 10 for a live masterclass - all you need is a computer, phone or tablet - we'll meet you on the internet! When Peter Benoliel retired after a 40 year career with Quaker Chemical, including 26 years as its CEO, he immersed himself in a far different activity − chamber music. ACMP member cycles around the world with her dog, violin and ACMP directory! ACMP member Jasmine Reese is on the road, circling the globe with her dog and violin. 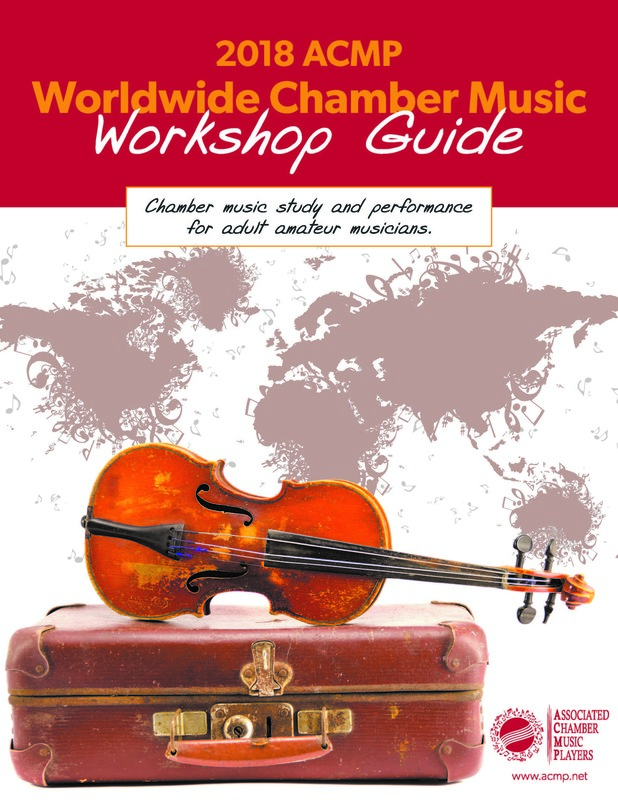 Along the way, she connects with other chamber music players through ACMP's worldwide network.